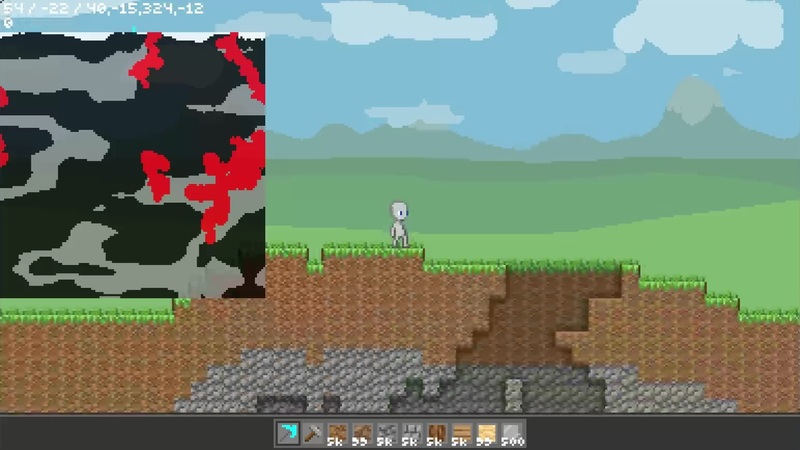 Volve is a html5 game engine prototype designed for a sandbox game similar in essence to Terraria. Although it is my primary game related project, it will likely never be finished due to it's out of control ambitions, but who knows. Firefox recommended, other browsers are untested. - cause: for some reason the game frame doesn't get focus if you click the canvas. Click the text below the game to gain keyboard control. Text is visible but everything else is black/white. - cause: unknown. Seems more likely on Google Chrome. NPCs may push the player or other NPCs through blocks. - cause: Collision methods are unfinished. FPS number sometimes goes above 60 or is inaccurate. - cause: It's just the way browsers work apparently (requestAnimationFrame). Not much I can do about it, open the FPS graph to see the delta time fps of each frame.